Those who are not well spiritually are certain clergymen who study psychology in order to help people's souls (with human skill). The strange thing is that their teachers, the psychologists, neither believe in God nor accept the existence of the soul; and if they do, they do it in their own way (almost all of them). 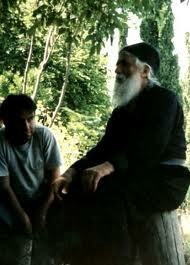 These clergymen reveal through their actions that they are spiritually ill and need patristic examinations. After being cured, they will discern for themselves this ill spirit and, at the same time, they will come to know Divine Grace. From then on, they will use divine energy instead of human arts to cure suffering souls. Elder Paisios the Athonite, Epistles, p. 107.